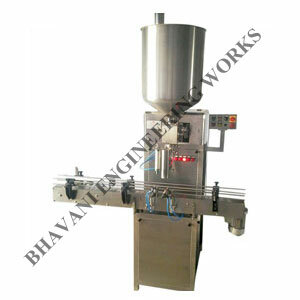 We are a recognized entity in this domain, engrossed in manufacturing, exporting and supplying optimum quality range of Pickle Filling Machine. The offered machine is manufactured by our skilled professionals using quality checked components with the edge of cutting edge techniques. Copyright 2019 © Bhavani Engineering Works . All Rights Reserved.